With thermal water from La Roche-Posay. Oily skin care weakened by drying. Effaclar H hydrate oily skin care weakened by drying. It also provides lipids which are specifically failing to restore the protective hydrolipidic film and contains ceramide 5 (patent pending) to reinforce the barrier function of skin. It restores comfort and flexibility. 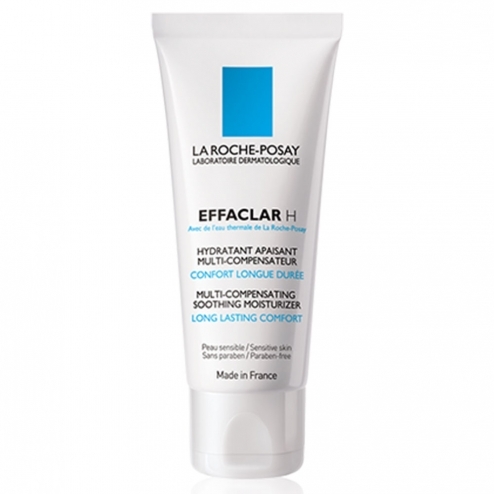 Formula rich in thermal water from La Roche-Posay and bisabolol to soothe irritation and redness. Result: Soothed, the skin is intensely hydrated. She found a lasting comfort.